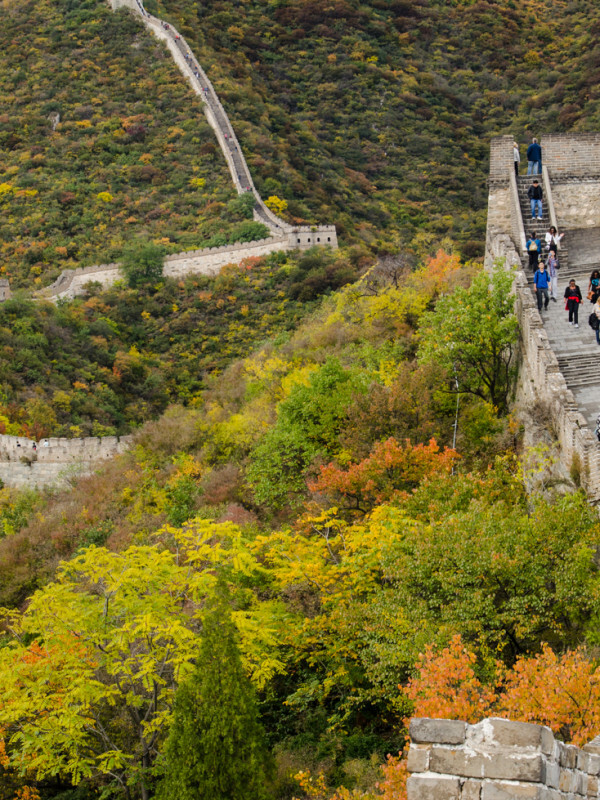 Be assured that there will be big crowds of people at most of the most frequented parts of the Wall – even if you go early in the mornings or to a slightly less “mass-market’ part of the Wall a little further from the Beijing centre. If you however make a little more effort (and I’m now talking physical!) you can easily walk away from the crowds and attempt the steeper parts – your lungs and calves will protest but sitting at a more peaceful section with some fellow breathless travellers looking down on the crowds but also the less explored parts of the Wall will leave you breathless – but not just from the physical exertion!